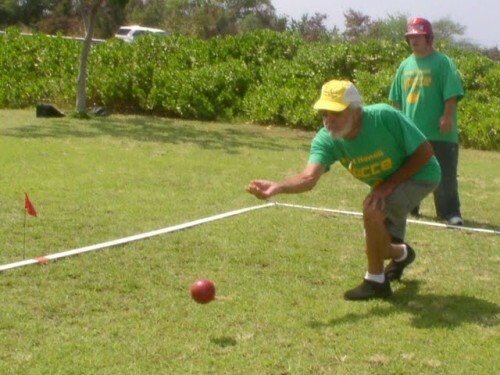 Special Olympics West Hawaii athletes, unified partners and volunteers interested in learning or competing in bocce ball should attend the sport’s first practice, from 3:15 to 5 p.m. June 8 at Pualani Estates park. This ancient game, dating back to the Roman Empire, closely resembles bowling. It requires skill, strategy and a little luck. There are four to eight large balls, weighing just over two pounds. They differentiated by designs. The Jack, a smaller ball in a different color, is tossed first. Whoever lands his larger ball closest to the Jack gets a point. The person with the most points wins. Practice will be held from 3:15 to 5 p.m. Tuesdays and Fridays at the park. For more information or to get involved, call SOWH Head of Delegation and Bocce Ball Coach Lona Warner at 808-327-0491 or 808-989-2080.